Dyanna Spa now offers a great Brazilian Wax deal in Manhattan, NY! It’s a Brazilian Wax Treatment Series for men and women, Buy five treatments and get the sixth one FREE. It’s one of the smartest ways to save money on our most popular waxing service. Customers of Dyanna Spa in Manhattan, NY can now take advantage of our Brazilian wax treatment series. All you have to do is purchase 5 of the same Brazilian wax treatments. You will then receive the sixth one free. 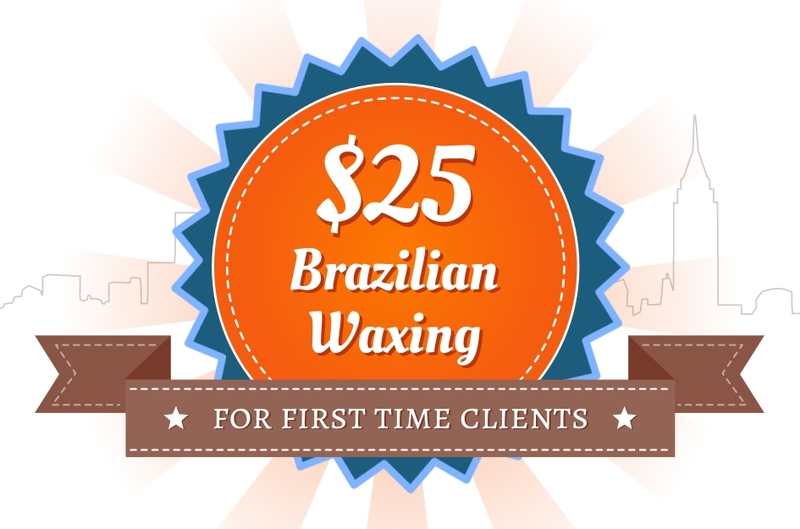 It’s a great way to help you to maintain your Brazilian waxing regimen for less money. Purchase 5 of the same Brazilian wax treatments and then receive the sixth one free! Our specially formulated waxes will provide you with the very best waxing experience from start to finish. Depending on your skin type and the area that you want waxed, you will experience gentle hair removal with one of our two top of the line wax products, or perhaps a combination of the two. Prior to waxing, you will consult with one of our waxing specialists at no charge, in order to determine which wax is best for you. A free, quick patch test helps in the decision making process, as well. Our signature waxes include the following. Azulene wax is a gentle, warm wax that removes hair quickly and effortlessly using paper strips. It is safe and effective for almost any skin type. Cirepil Blue hard wax is a non-paper hair removal treatment for those with sensitive skin, or for sensitive areas of the body. Prior to waxing, you will consult with one of our waxing specialists at no charge, in order to determine which wax is best for you. A quick patch test helps in the decision making process, as well. Just prepay for a special card for your five Brazilian wax treatments and get the sixth one free! Contact us now at either of our spa locations, to take advantage of this wonderful offer. Dyanna Spa now has two convenient locations offering our fabulous Brazilian Wax Series. One is in downtown Manhattan, in the Gramercy Park and Flatiron District, and the other is in east midtown Manhattan, in the Murray Hill District. Terms and Conditions: This offer is only valid for our Brazilian wax services. This offer cannot be combined with any other offer or services, and cannot be exchanged for cash or credit. Prepaid cards expire 1 year after the date of purchase.  By checking this box, you agree with all of the above terms and conditions.